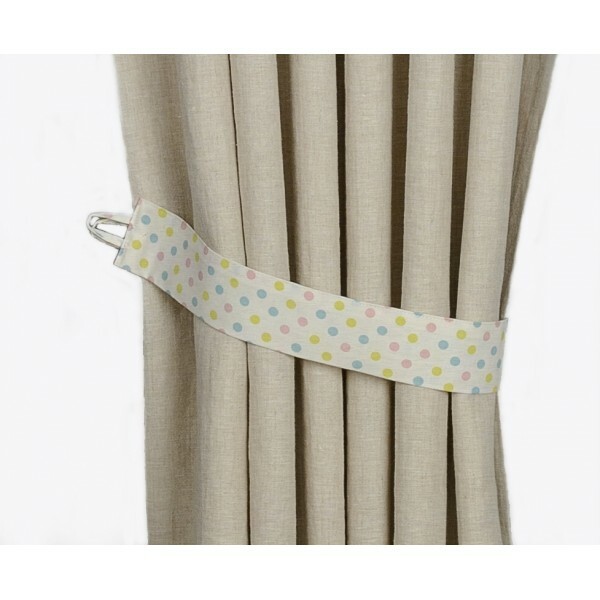 Pure linen and organic cotton curtains with blackout lining with pastel polka dot stripes. (Two panels). 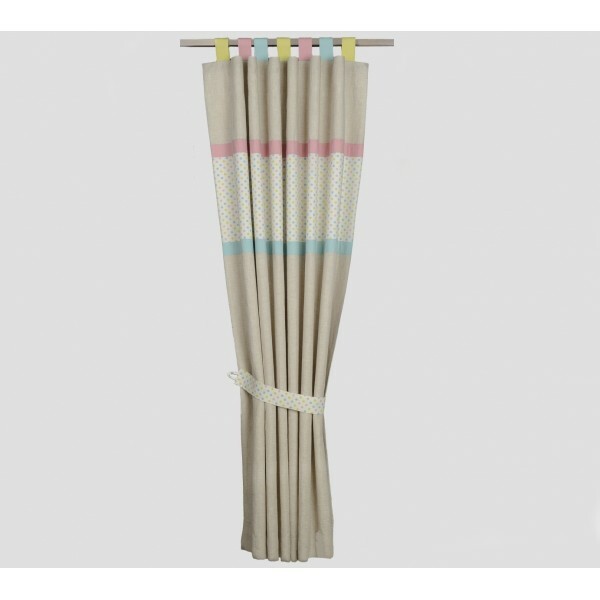 These luxury organic cotton curtains have been designed to create a lovely, delicate surrounding for both little boys and girls. 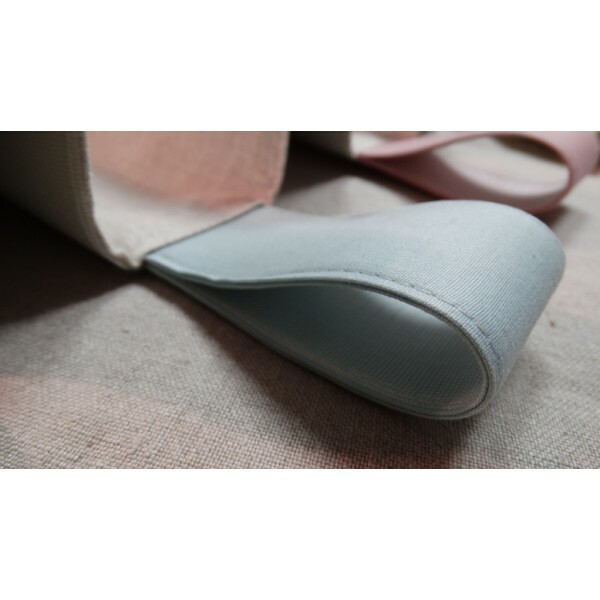 To create a calm, tranquil feel we have combined the natural oatmeal colour of our pure linen with organic cotton printed with delicate candy-coloured dots. 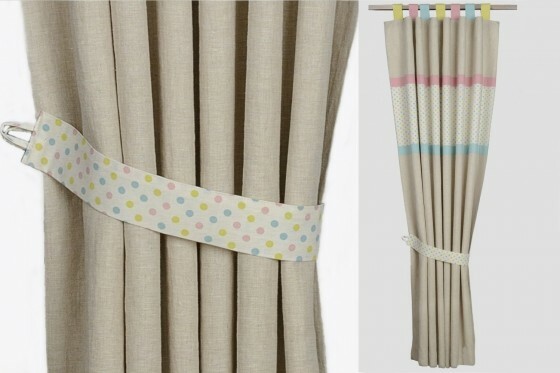 These curtains are lined with a blackout lining, so will block out light and draughts during your baby's daytime naps and for those bright summer evenings when bedtime comes too soon! 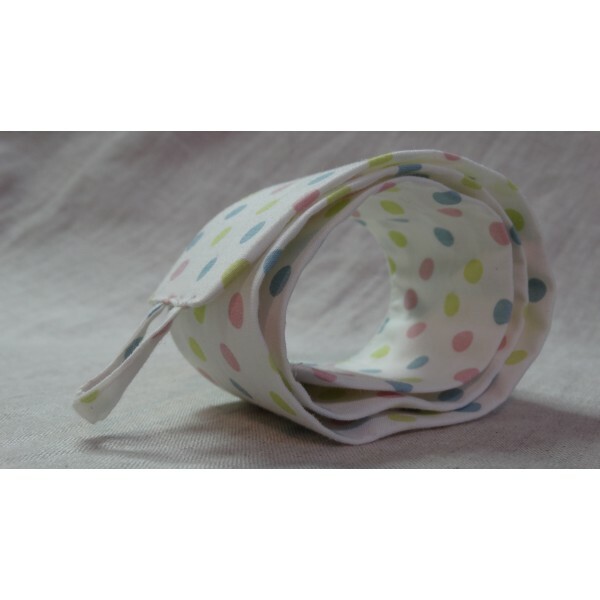 Please visit Our Fabrics page to find out more about the types of lining we offer. 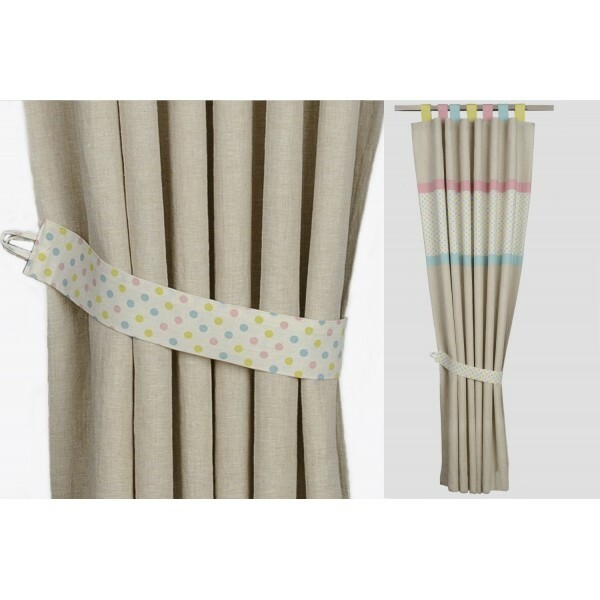 Tab-top curtains come with a set of beautifully finished coordinating tie backs, so you can let the light and air in when you want to.